I enjoyed using this card for over three years. It has no foreign transaction fees and allowed me to take a few trips for free. However I recently detected some fraud on my card in the form of a $100+ cash withdrawal while traveling abroad in Ireland. I immediately called customer service, submitted a claim to the fraud department and got a new card. I waited three weeks for them to send me a letter telling me my claim was flat out denied. I called again explaining that i had never used the card for cash withdrawals and didn't even know if I had a pin. They again refused to listen to me and stated I "may have forgotten about" the transaction. I pushed further to speak to a supervisor who again would not listen to me. I understand the organization has policies in place to detect fraud and that those policies often work but they are wrong here - I did not make this transaction and I'm now stuck paying it because they don't value their customers enough to investigate further. I pay my bill on time every month and I don't have time to waste speaking to multiple representatives and writing letters. They did the wrong thing by me in this instance and I won't soon forget it. I'm done. I've had this card over a year and use it pretty much exclusively for all of my purchases. I do not carry a balance and pay off the card in full each month. I was granted a generous credit line upon approval and received a substantial increase within a year. 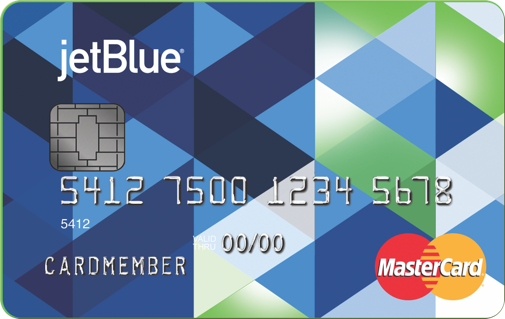 The rewards program is great and I've managed to redeem several free flights using TrueBlue points since opening the account. However, I've recently had to contact customer service a few times and have never been so aggravated in my life. First, it seems that there is only one individual who works in their customer service department. While she seems nice, she speaks very limited English and is unable to assist with any issues that aren't extremely basic. Additionally, it is difficult to understand her and the connection always seems to be bad on top of it. The one time I asked to speak with a representative who spoke better English, I was transferred to a person who made it very clear that she did not care to help whatsoever. Luckily, I was able to get that issue resolved with the merchant. I recently called about about another issue and again, got that same representative. She seemed to be able to help me this time, but when I asked her to email me a summary of the claim, her response was "We don't use email here." That seems very odd that a company doesn't use email, but ok, whatever. She left me a voicemail the following day and when I called back the phone number, she told me that she was unable to help me at that time and I'd have to call back later. Are you kidding me?! You can answer the phone but can't offer assistance? The last few weeks have been extremely trying and I'm ready to stop using this card entirely. A big part of why I pay with a credit card as opposed to cash is so that if I have an issue with a merchant, I have some recourse. Unfortunately, their customer service department (which seems to consist of two people) is too incompetent to help. I pray that I don't end up with any fraudulent activity on my card, because then I'll really be screwed. Do yourself a favor and avoid this card entirely. Never Had an Issue resolving any issues just depends on who you talk with... if they arent helpful hang up call again ill recommend that I Have to do that with American Express then get somone really helpful!! The worst of all customer support. Absolute worst customer service ever! After Barclay's lost my payment of more than $7000 that cleared my bank over a month agao, I have now had to call there 3x and still no one has an answer as to where the funds are and they refuse to attempt to help before their stated "7 to 10 business days" which I fine completely unacceptable. I have spoken to managers, supplied bank account and routing #s and called back for 10 days. It apparently must be 10 BUSINESS days for anyone to find the $7000+ that they have had for more than a month. They are robots who just keep repeating themselves. The absolute worst customer service ever! Do not bother getting this card!!!!! !